Get a reliable Tippmann 98 marker plus an M4 Carbine! Realistic M4 Carbine Tippmann 98 Custom Tactical Paintball Marker is a tactical rifle that is realistic & reliable to shoot. Features include authentic adjustable carbine stock, carry handle & 16” barrel with M4 hand guard. You'll be carrying this replica rifle into battle for a long time, as this M4 Carbine paintball gun is built on the reliable Tippmann 98 Custom. 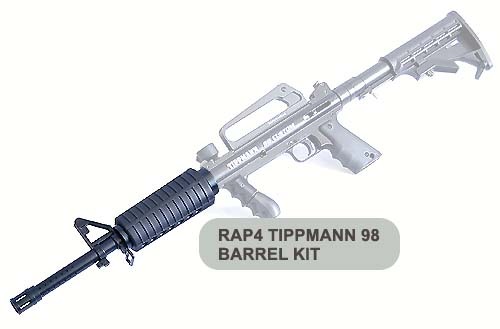 The Tippmann 98 features an aluminum receiver and molded foregrip for an excellent stable shot. The 98 Custom is easy to clean, maintain and is accurate and ready to fire right out of the box! The carry handle, carbine buttstock and M4 handguard give the Tippmann 98 an authentic carbine look and feel. 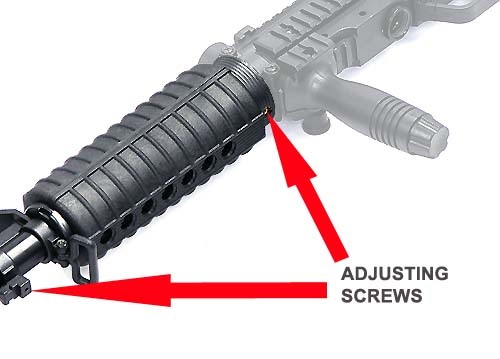 The tactical barrel kit included with the Tippmann 98 M4 Carbine package features a 16" barrel; making this marker a good match for close, medium and moderately long range shooting. 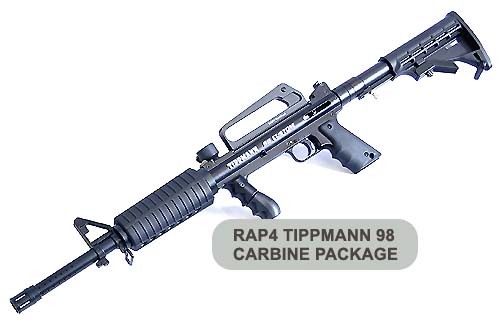 Buy the Tippmann 98 M4 Carbine Package from Choicepaintballguns for the best deal you will find on the internet. We promise to process your order immediately so you will get your marker as quickly as possible. Our website is secure and safe to order all your paintball products online.